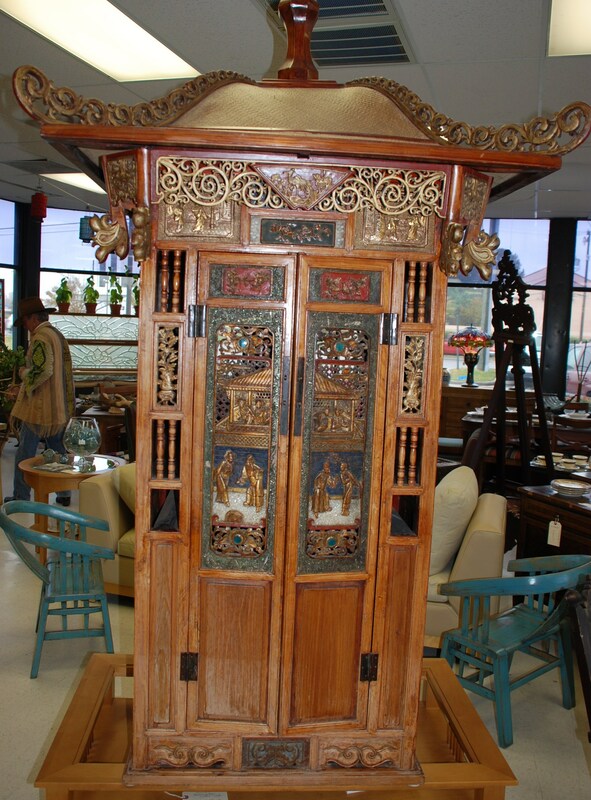 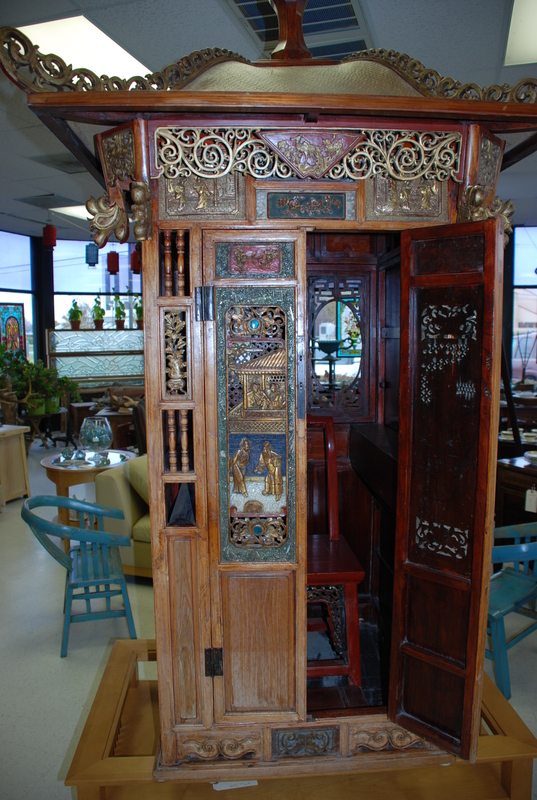 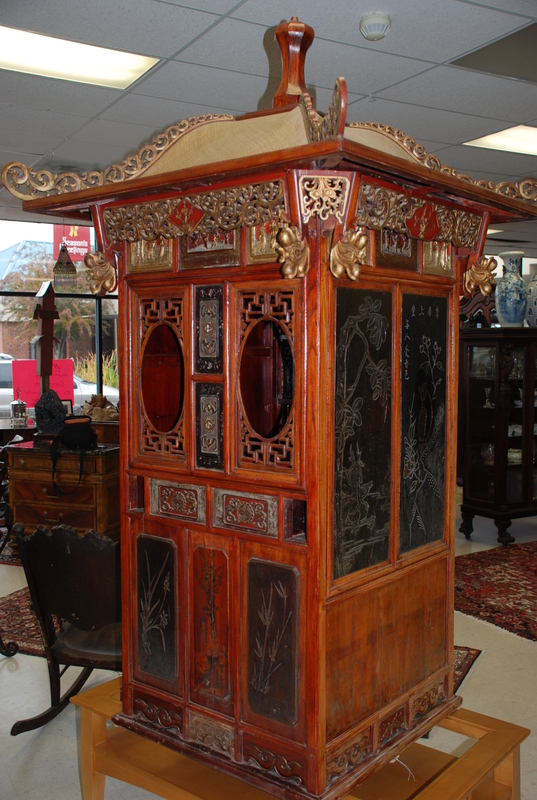 We just acquired the coolest antique oriental bridal sedan chair. 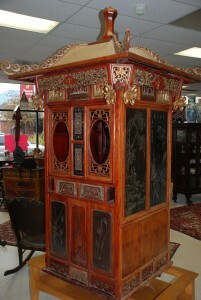 Probably from the 1880’s. It still has a small oriental chair inside and has two 9 foot long carrying sticks. It would make a stunning focal point in any room or would be neat to use it at a wedding!